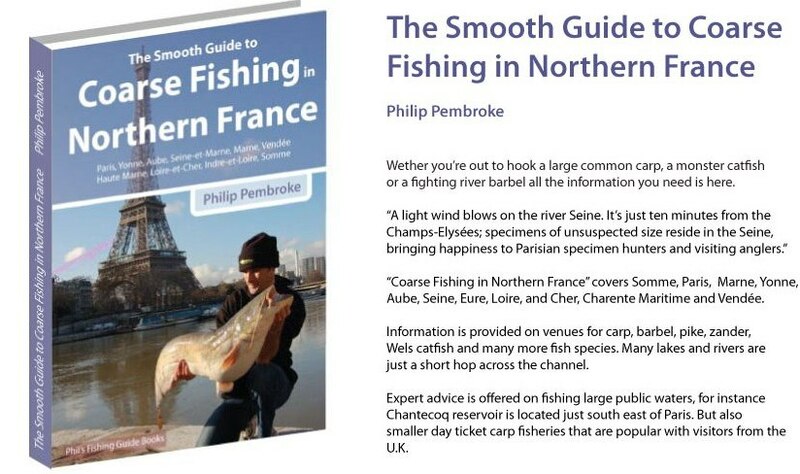 The fishing books you can't do without. 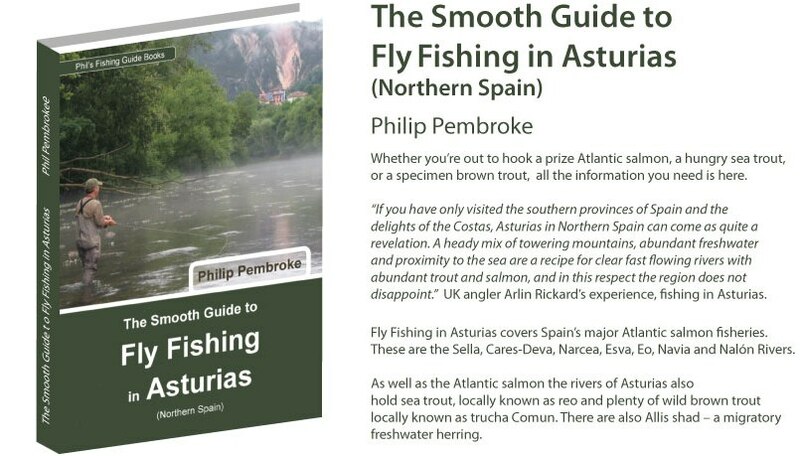 These are the first English-language fishing books to the exciting challenges presented by fishing in Spain, France and Portugal. 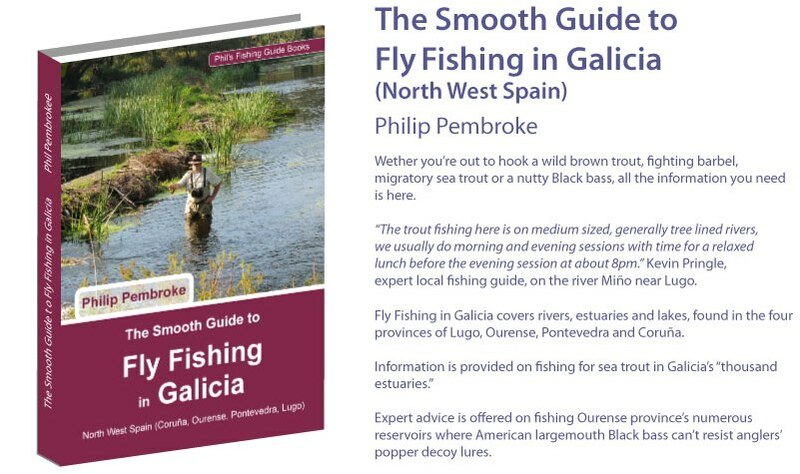 They are essential reading for all enthusiasts of coarse, fly and sea fishing eager to enjoy a unique angling experience. 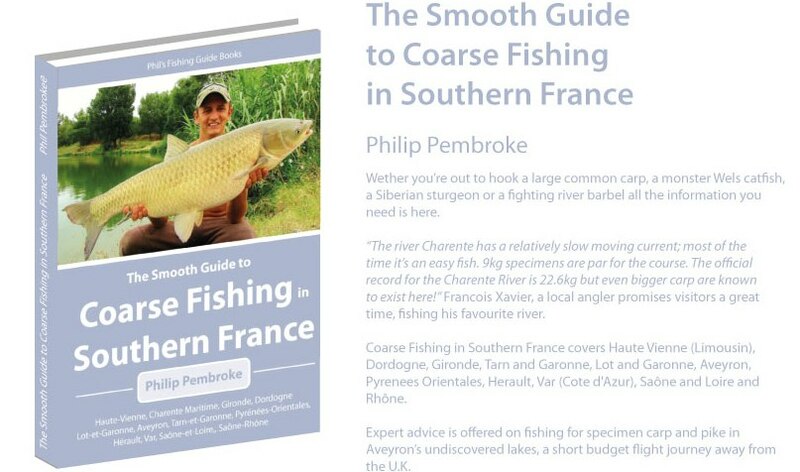 Whether you’re out to hook a giant catfish, a wild brown trout, a fighting barbel or carp, a sea bass or blue shark, all the information about places to fish is here. 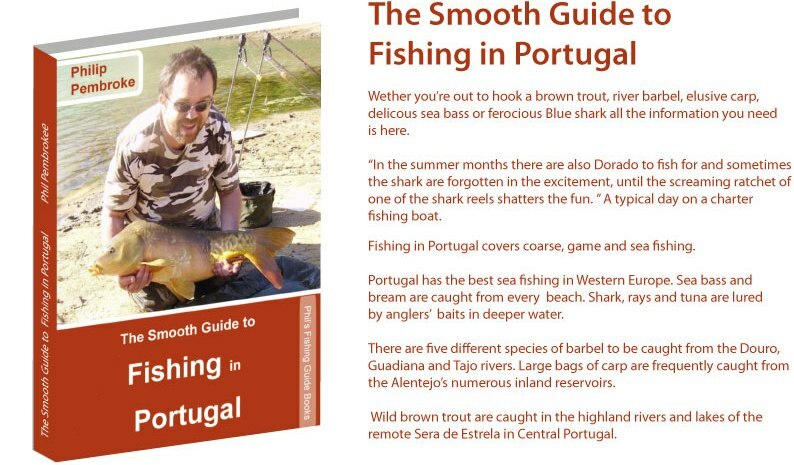 These fishing books are packed with everything anglers need to know in order to enjoy the very best fishing that Spain, France and Portugal has to offer - from how to obtain a fishing license and buying the right tackle and bait, where to buy day tickets, to finding which species can be found where. Each paperback title is A5 size, 150 pages and has a colour cover. 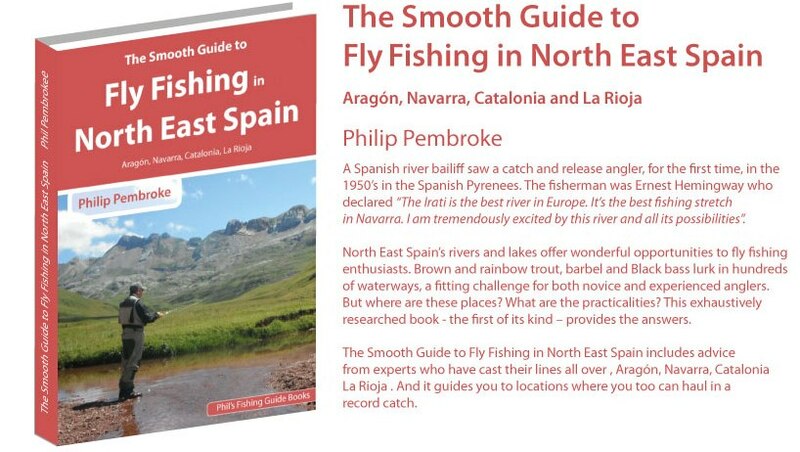 And they detail hundreds of places to fish in Spain, France and Portugal’s rivers, lakes and seas. 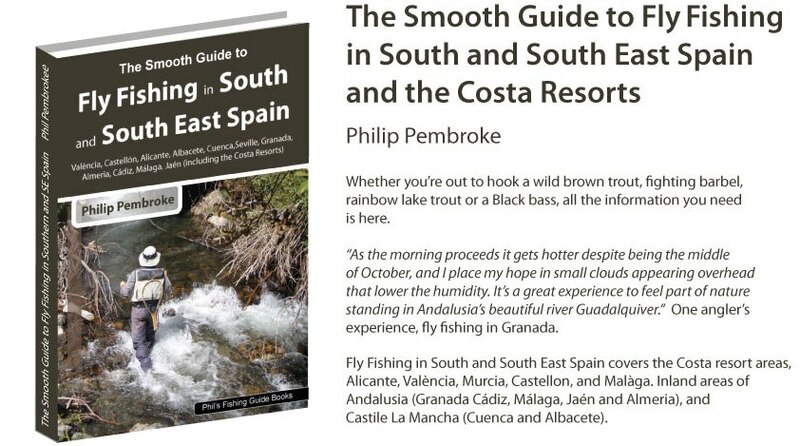 Paperback editions can be ordered from this webpage. As well as Paypal payment service we also accept personal cheques (pounds sterling only). Every customes receives a 5% discount when they use bank transfer payment method. Click on contact us banner for postal address and to request bank transfer payment details. Please scroll down this page to view our books. 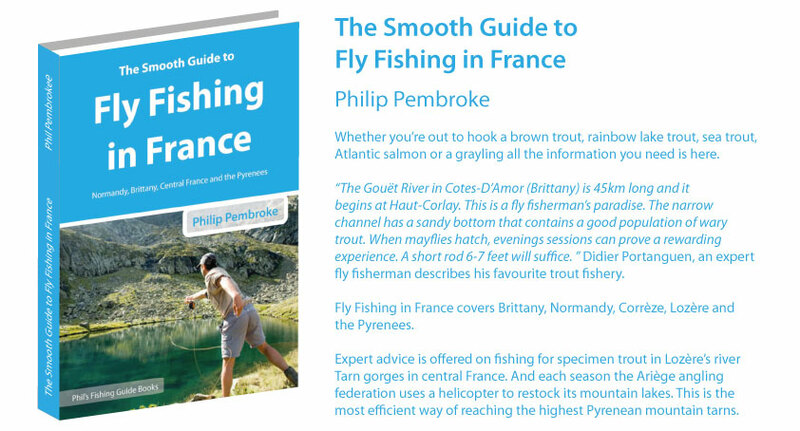 E-book versions of my guide book titles are available for purchase (only £7.45 each!) on Kindle devices and Kindle applications for iPad, iPhone, iPod touch, Personal computer, Mac, Blackberry, and Android-based devices. 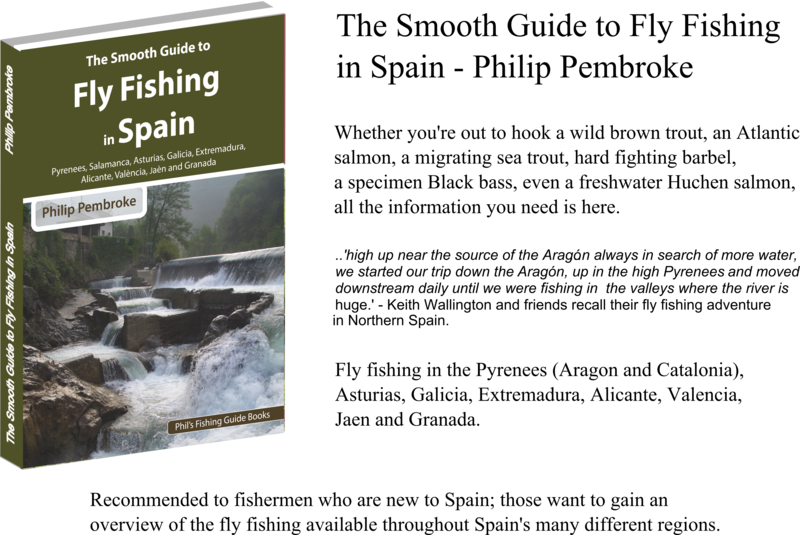 Further fishing guide book titles covering individual Spanish provinces in much greater depth and detail can be purchased from this page i.e. Castile and Leon, Castile La Mancha, Andalucia (Malaga, Seville, Cadiz). Also found below are titles covering Portugal and France. 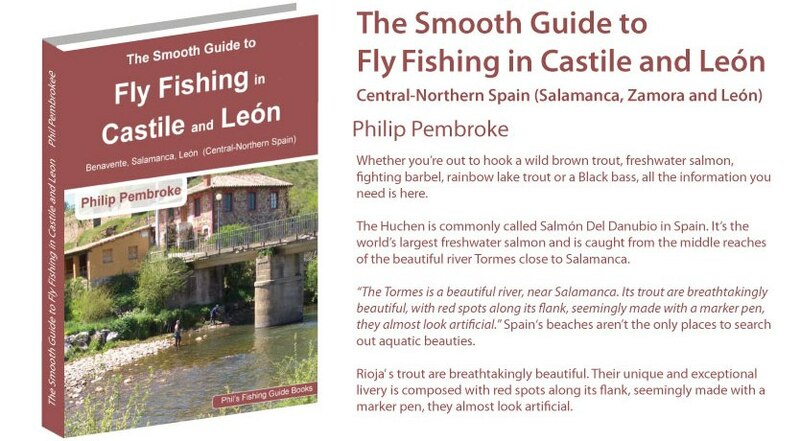 The following four titles contain in-depth information about fly fishing in Northern Spain. 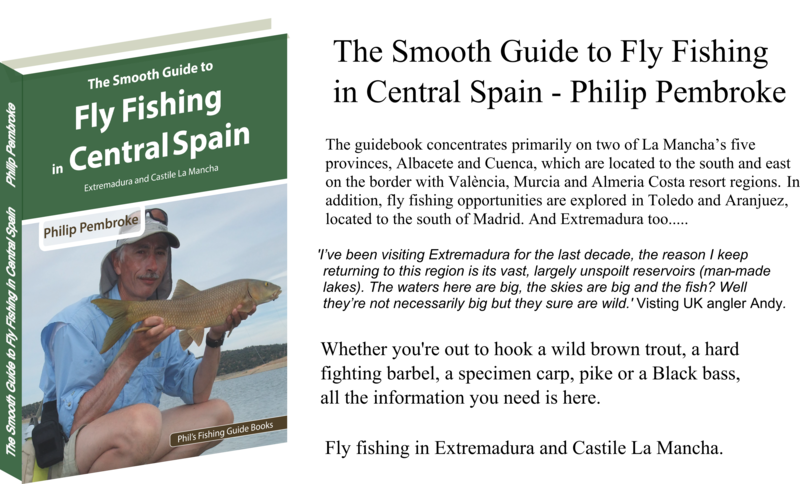 If you are thinking about purchasing the complete set, of my books, I'll throw in the 'Essential Guide to Coarse Fishing in Spain' for free. I can sign each copy, with a personal message. All customers receive a 5% discount when paying by bank transfer payment method.